Posted on April 24, 2008, in Box Breaks and tagged 2000, Autographics, E-X, E-Xceptional, E-Xciting, E-Xplosive, Essential Credentials, Fleer, Generation E-X, Jambalaya. Bookmark the permalink. 3 Comments. I’m salivating over the two Big Unit inserts. I wasn’t collecting back in 2000 so my Diamondbacks collection is quite thin in the early aughts. Thanks for another awesome post. I may put this box on my ebay saved searches and wait for a cheapie to pop up. These old-school breaks are pretty cool – thanks for sharing them. 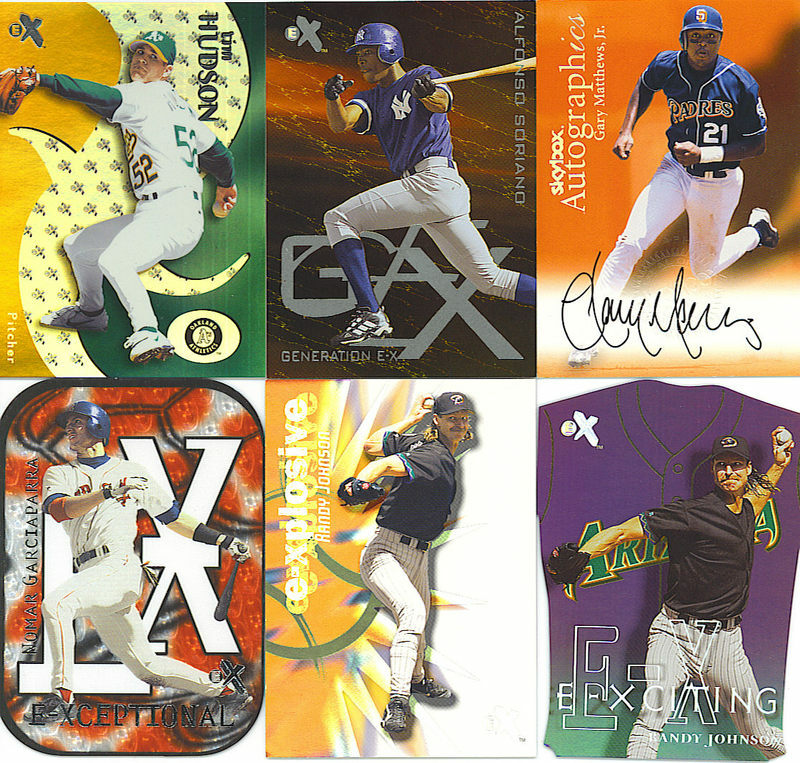 I agree that the E-Xceptional insert set is very neat. I was surprised to find an Alex Rodriguez E-Xceptional Green in a binder I picked up at a pawn shop.